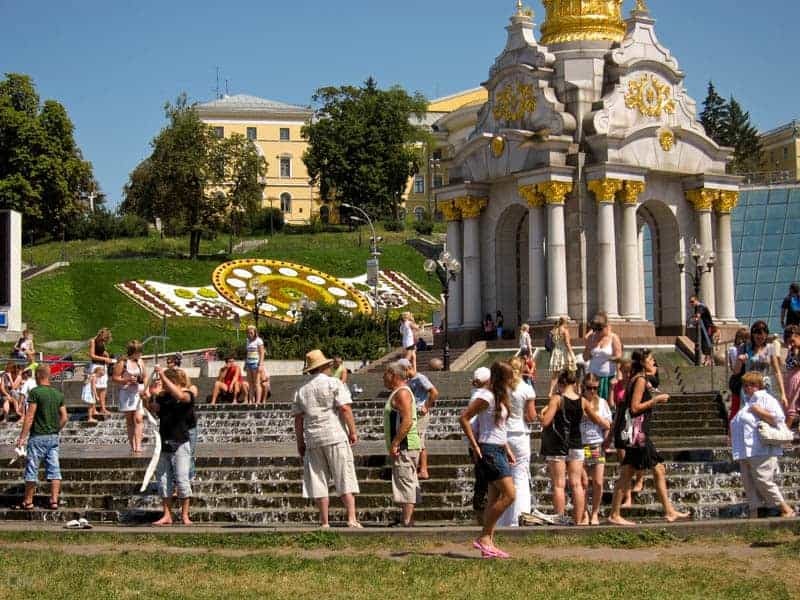 Ukrainians enjoy a number of public holidays throughout the year. There are religious holidays such as Orthodox Christmas, Easter, and Holy Trinity plus those celebrating Ukraine’s independence (Independence Day and Constitution Day). Where a public holiday falls on a weekend, workers generally enjoy a day off the following Monday. When public holidays fall close to each other or the weekend, the Ukrainian government often issues a recommendation that businesses give workers an extended holiday. They make up for the lost time by working weekends. For example in November 2016 the government issued a resolution recommending that workers should be given a 4-day breaks around Victory Day (May 6 – 9 2017) and Independence Day (August 24 – 27 2017). Workers should make up for the workdays lost by working on Saturdays (May 13 2017 and August 19 2017). The table below shows all public holidays in Ukraine for 2017. New Year's Day Sunday, January 1 2017 Most people will get a day off on Monday, January 2. Orthodox Christmas Saturday, January 7 2017 Most people will get a day off on Monday, January 9. Orthodox Easter Sunday, April 16 2017 Most people will get a day off on Monday, April 17. Victory Day Tuesday, May 9 2017 Most workers will enjoy a 4-day break from May 6 to 9. They will work an extra day on Saturday 13 May. Holy Trinity Sunday, June 4 2017 Most people will get a day off on Monday, June 5. Independence Day Thursday, August 24 2017 Most workers will enjoy a 4-day break from August 24 to 27. They will work an extra day on Saturday, August 19. Defenders’ Day Saturday, October 14 2017 Most people will get a day off on Monday, October 16. 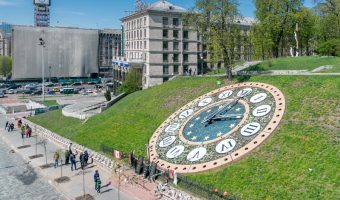 Will stores and local attractions will be open at Kiev during Independence Day? Hi! I will visit Kiev between the 24th and 28th of August. Are shops / shopping malls going to be closed these days? Hi! Will visit Kiev on the 28th of June! Will shops be closed on that day? Shopping malls/ cafes etc? Most places will be open. I’m thinking of visiting Ukraine in Easter 2015. Can you advise what the Easter holiday dates for Good Friday and Easter Monday are in Ukraine at this time? Will businesses be open as normal over the holidays? Orthodox Easter Sunday in 2015 falls on Sunday April 12. It is the only public holiday, although many people will actually get Monday off. Good Friday is not a holiday in Ukraine. You won’t notice much change on the Monday. Restaurants, bars, and most shops will operate as normal, as will public transport. Banks will be closed but the money exchanges will still be open. Will the Independence Day celebrations be held this year? What about December 25th, is it not observed there as Christmas day! Details of all major events, holidays, and festivals taking place in the city.